There is the reason why this is so tasty. Hokkaido pigs are raised in extremely cold environment. That is why our pork tastes so good. 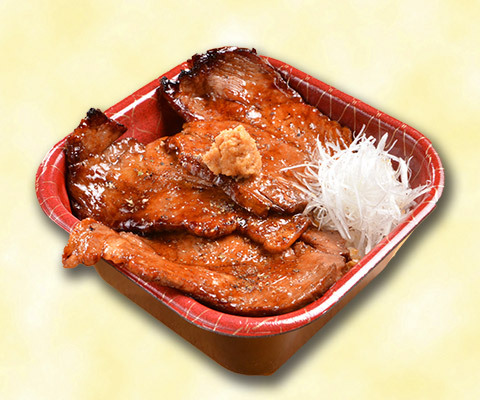 We have more special secret - our special Hokkaido traditional soy sauce that can enhance the flavor of the meat much more. We use the best part of pork spareribs which can determine the quality level of the pork. 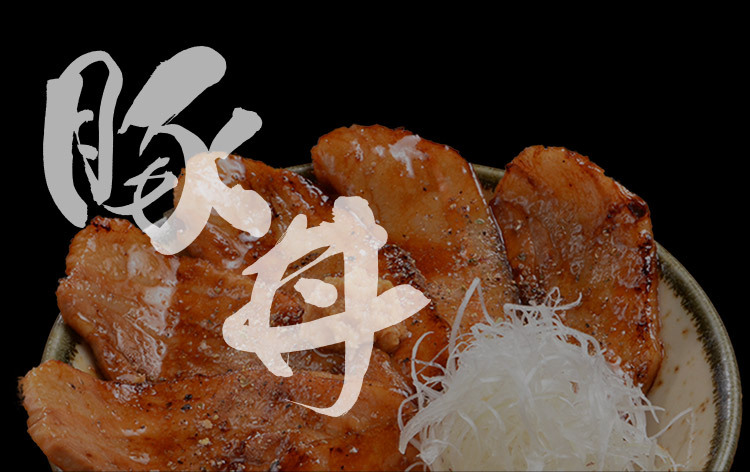 Hokkaido pork has good reputation especially because it has high quality tasty fat. 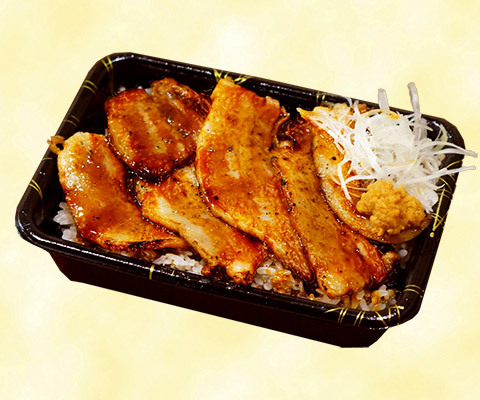 We use special marinate sauce and grill it to perfection. Pork Lion bowl use pork red meat with a little fat. This is special dish for those who know the taste of the meat. Large bowl of rice is free. 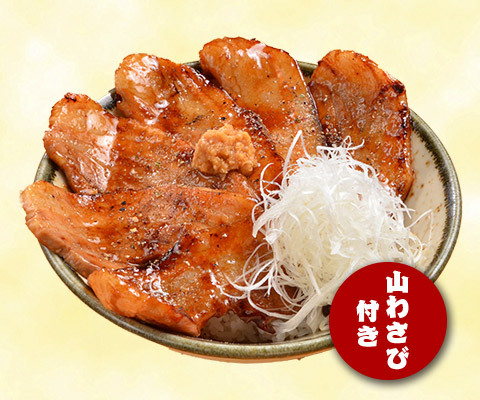 We are using famous Hokkaido rice called "Nanatsuboshi". 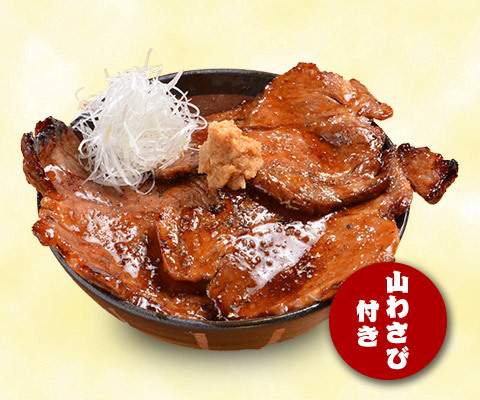 You can select the meat type from pork sparerib, pork shoulder, or mix for pork bowl. 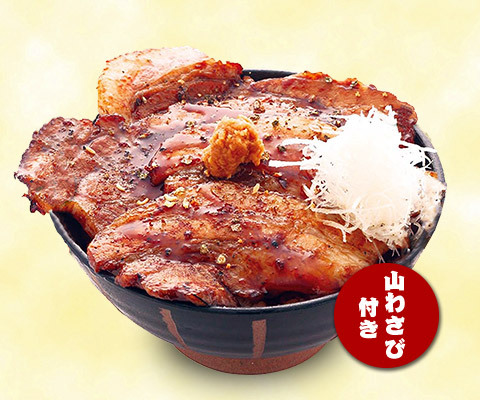 200 yen extra for mix meat pork bowl. 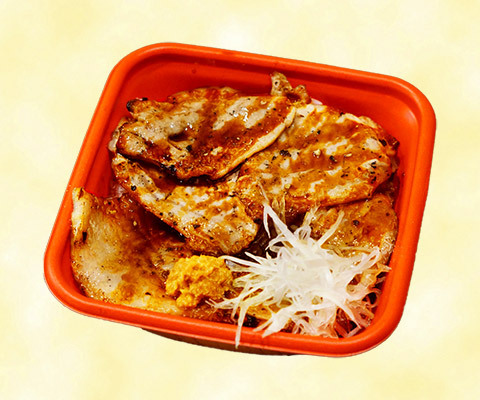 300 yen extra for shoulder loin pork bowl. Use Hokkaido buckwheat which is coarsely ground by stone grinder. 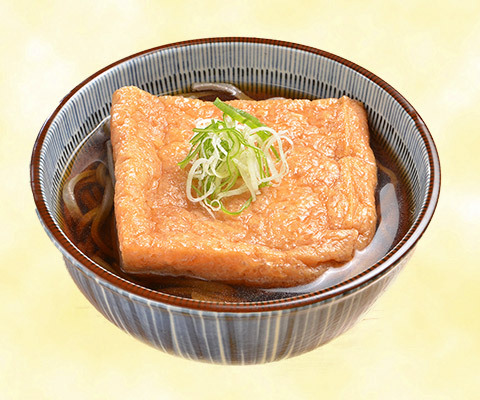 Our soba is "Mashu Soba" which includes the skin of buckwheat called Hikigurumi when it is ground. 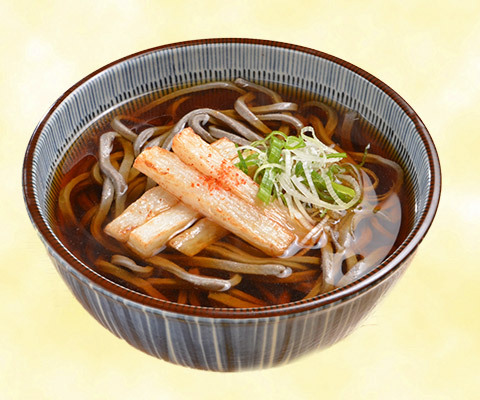 This soba is full of nutrition which can prevent your lifestyle related disease. 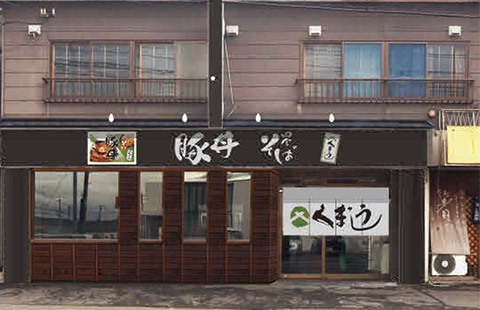 For soba topping we use local ingredients as much as possible. Enjoy eating soba as a soup with our pork bowl together. 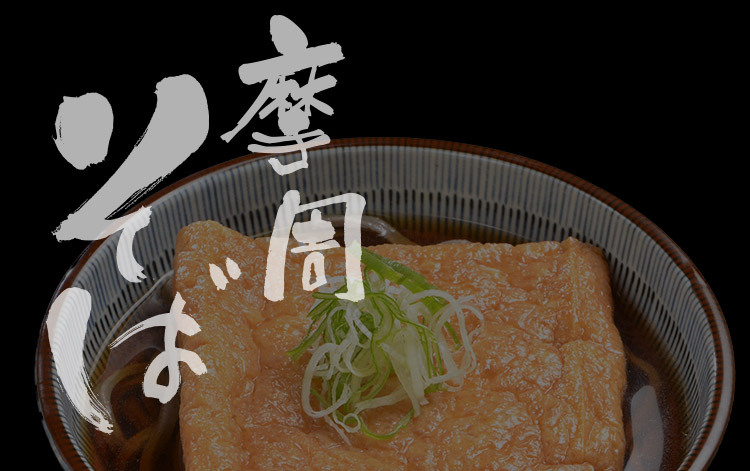 Kitsune is deep fried big tofu which is made by local tofu shop. We cooked this to have so much flavor and full of soup stock. 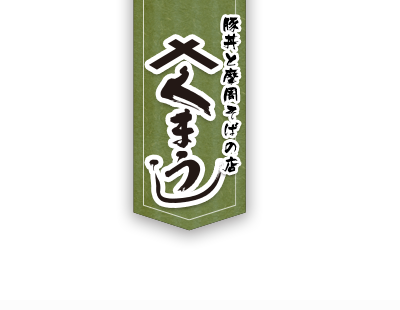 Yama-imo (type of yam) is delivered to us from local town called Kiyosato-cho. 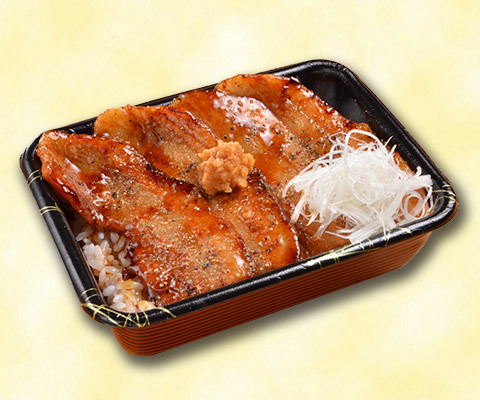 We cut Yamaimo into the shape of stick and deep fry it without breading or batter. 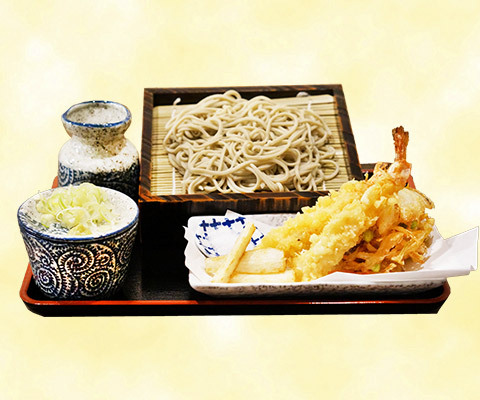 Shrimp tempura coating becomes melted in the soup of noodle and make soba more tasty. Also you can enjoy the fresh shrimp which taste like just come out from the sea. 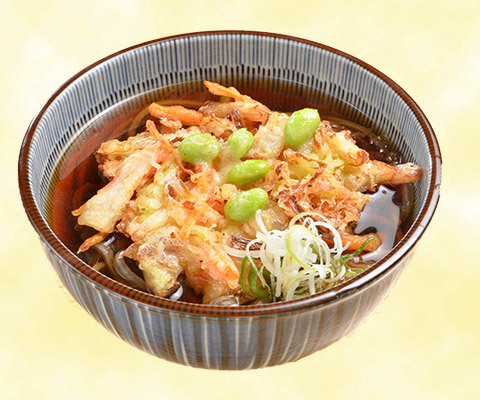 Mix with sweet onion with a lot of seasonal vegetables is deep fried as huge tempura. 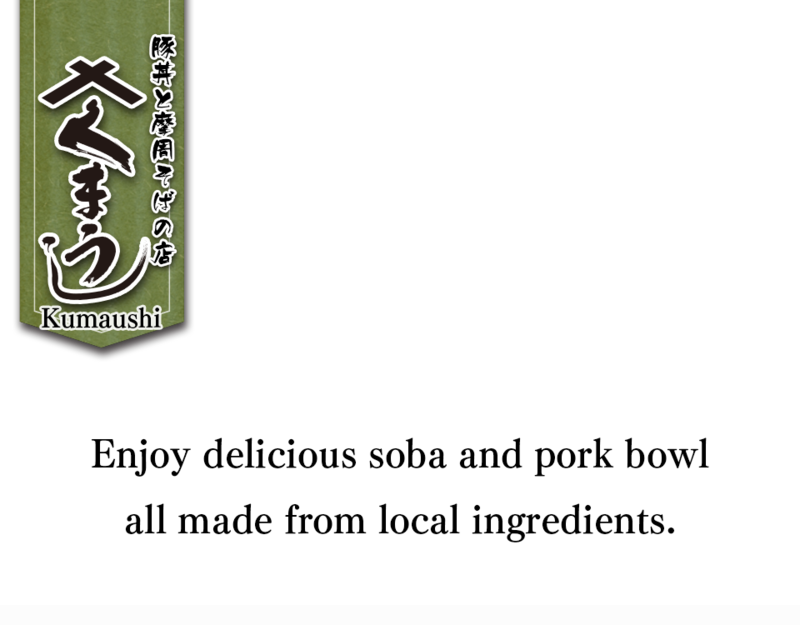 Mori Mashu Soba is so simple so you can enjoy the taste of soba itself. 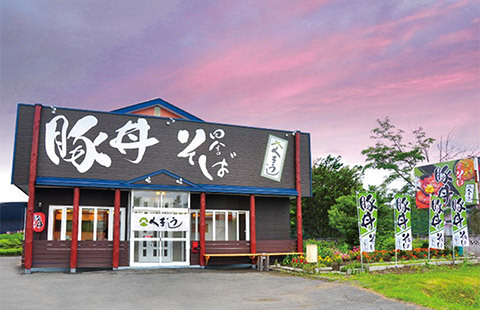 Enjoy Mashu Soba which is handmade daily and cooked when you order so you can taste the best and freshest soba you can get. 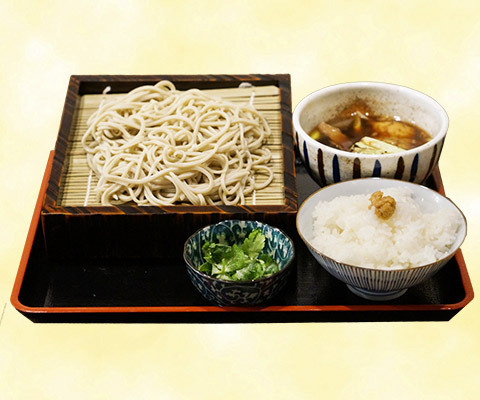 This dish is highly recommended for Soba noodle lovers. 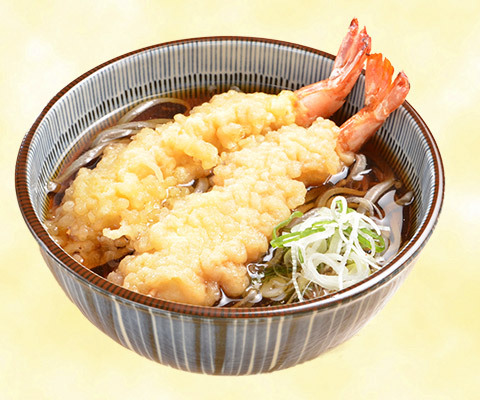 A combination of crispy deep fried battered shrimp and seasonal local vegetable tempura together goes well with soba soup. Come with small bowl of rice. 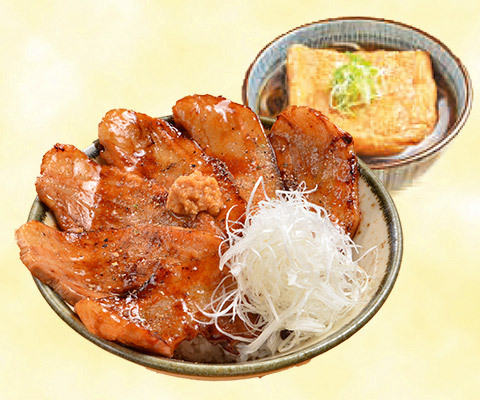 We recommend this dish for the people who eat soba with steamed duck. We use Hokkaido pork instead of a duck, Pork fat make soba taste much better. 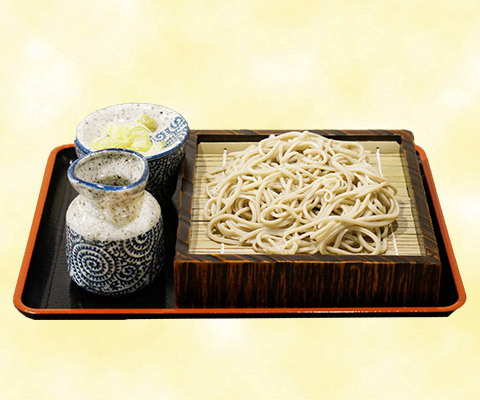 ※Extra soba 350 yen for one order. Just add 350 yen for double of the size.